An e-liquid that exhibits an intense, cool mint effect more powerful than any of Halo's other menthol flavors. 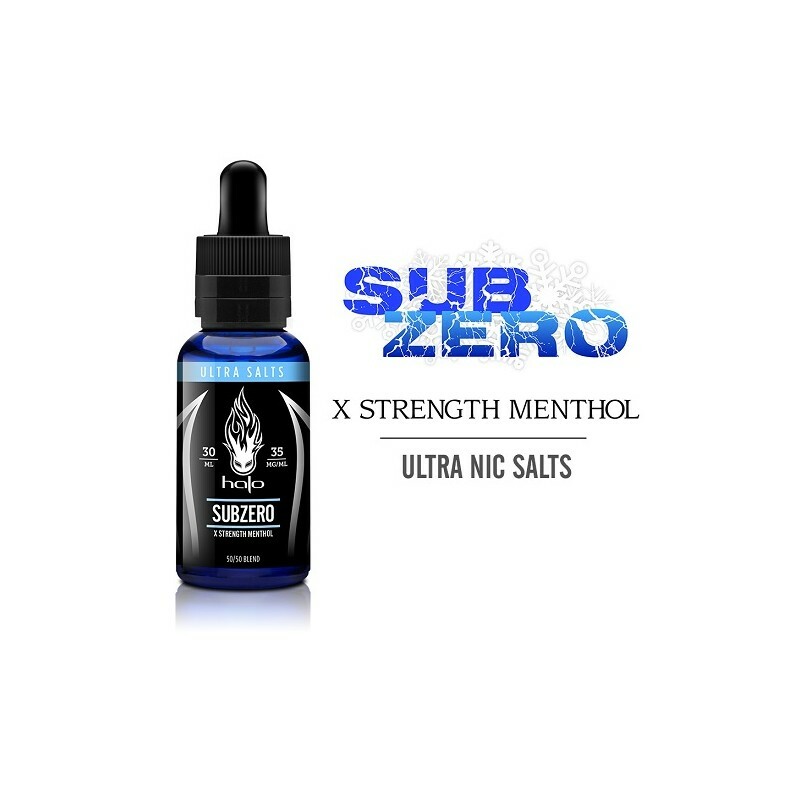 This nic salt version has a longer-lasting nicotine effect, low vapor production, and a glacier-fresh finish, so you can chill with the frigid flavour of SubZero all day. 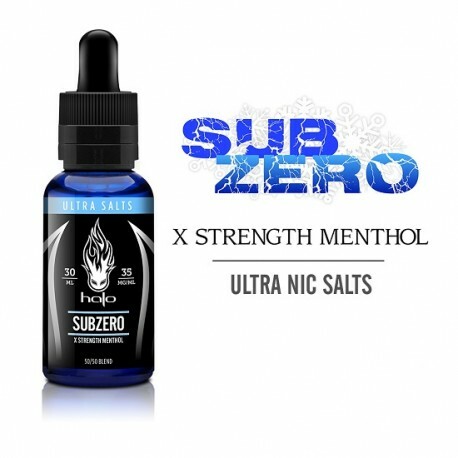 Halo has taken the absolute best-selling menthol flavour 'SubZero' and created a nic salts version that matches and possibly exceeds the original. Steam Age Vape Shop ships Halo SubZero Ultra Salts E-Liquid (with nicotine salts) NZ & Australia-wide.